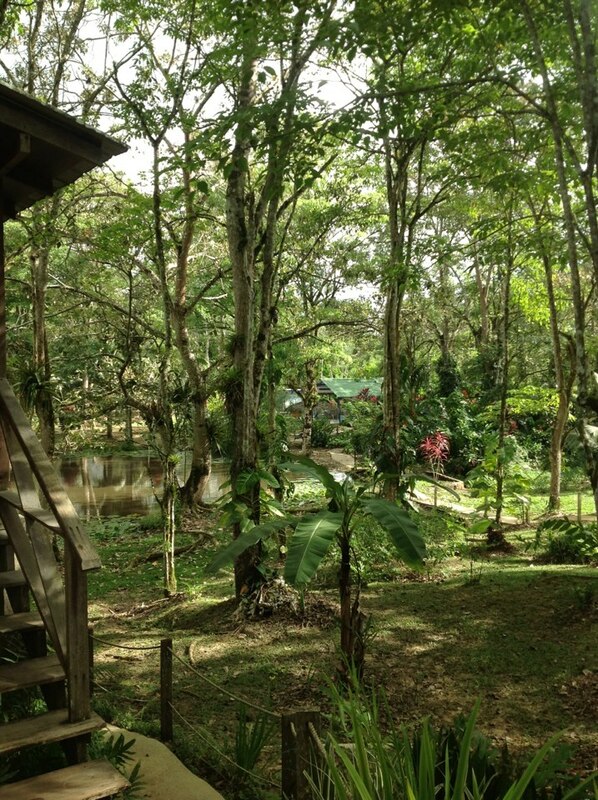 Hacienda Jacana is situated on a 22-acre estate on the edge of a tropical rainforest in Talparo which is a 30 – 40 minute drive from Piarco International Airport, Trinidad, West Indies. Perfect for bird watchers, a peaceful get away, family reunions, yoga retreats, the list is endless. ​There are 4 wooden cottages along the perimeter of a small lake, each named after a bird that can be seen on the estate: Gallinule, Lapwing, Nightjar and Woodrail. There is a small pool with an entertainment area for small gatherings and 2 canoes for use on the lake. The lake contains tilapia and other fish and the occasional peaceful caiman. The property has many species of birds.